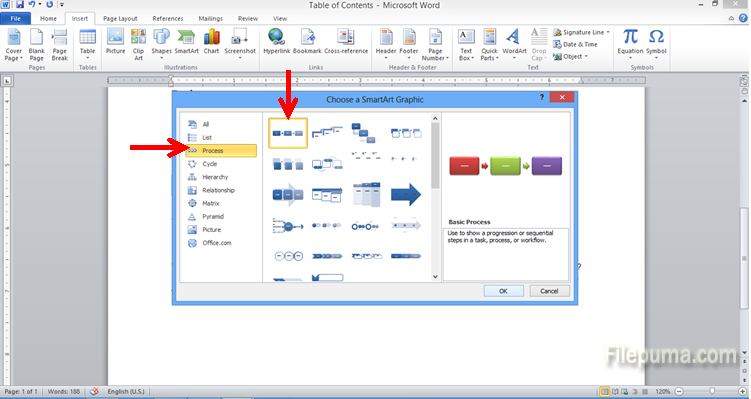 How to Insert Diagrams in a Document with One Click? 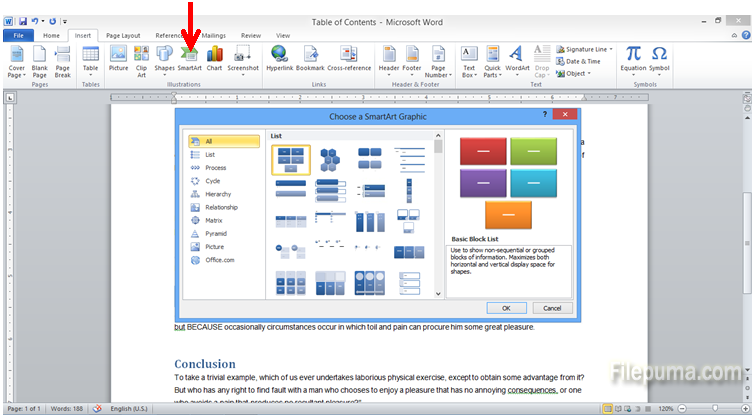 Very often it is best to illustrate your point with a diagram, in addition to any description in plain text. 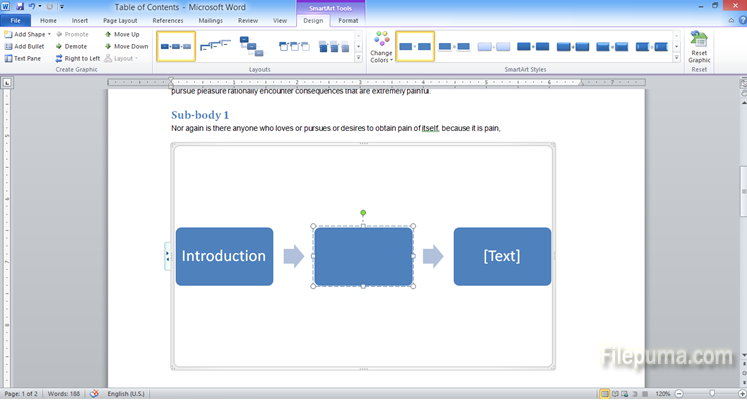 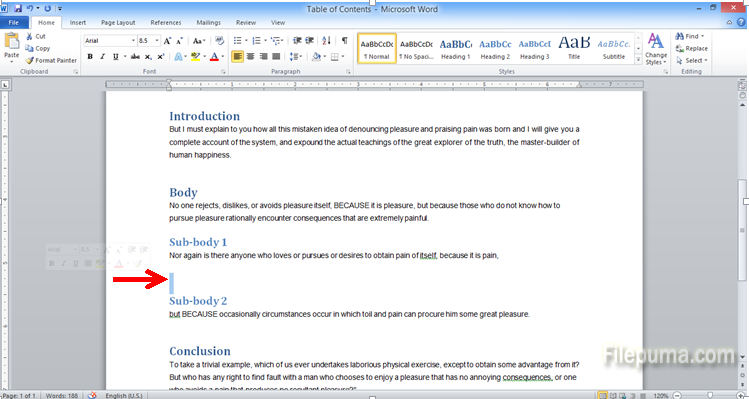 Microsoft Word offers you a set of ready-made diagrams, so that you don’t have to re-create and draw from scratch. 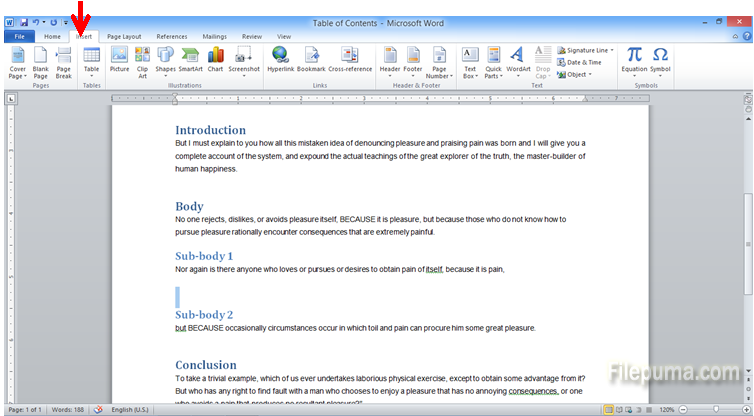 All you need is to fill in the text and change colors to your taste.